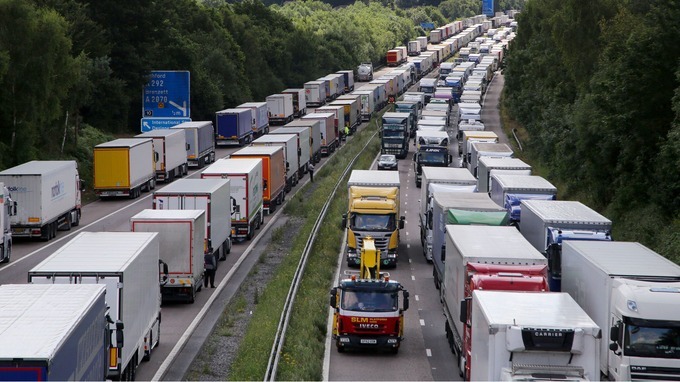 "In the second worst scenario, not even the worst, the port of Dover will collapse on day one. The supermarkets in Cornwall and Scotland will run out of food within a couple of days, and hospitals will run out of medicines within two weeks." - Sunday Times 3rd June 2018 from a government source on the modelling of no deal scenarios for Brexit. This is only the second worst scenario, the worst was labelled armageddon. This isn't a report in the the pro EU Indy but in the right wing Sunday Times. That says volumes. While Farage, Lawson and other arch Brexiteers may be rubbing their hands at the thought of a no deal Brexit, they are the among the ones who will be least affected by this. It will be poorer people and those of us in Kent, Cornwall and Scotland who will be hit first and hardest. And it's not even about an economic downturn, this is about an immediate threat to life. With no solutions agreed need an immediate pause on Brexit. We cannot allow the UK to trundle blindly towards a catastrophe. We need the pause so that there is time for a deal to be negotiated and once negotiated we need a second referendum to ensure the public are comfortable with the impact it will have.